Marathon Lessons From a Novice: Does Epsom Salt Work For Sore Muscles? Is DEET Bad For You? A Very Good Time to Know. Will natural repellents actually kill bugs dead? Keeps bugs away. Or all life forms? One home brew in particular is using beer to make ... bug spray. One that has been popular since 2005 involves stale beer, epsom salt and Listerine to repel bugs. I hate both beer and Listerine, they certainly repel me, so without even looking at the compounds the idea that they might kill bugs does not surprise me. Some obvious questions: Why stale beer? As the website doityourself correctly notes, alcohol is known to be an insect repellent, but by the time the bubbles have evaporated, the alcohol might be gone too (see note 2 below again.) They also mention that using "recycled beer" works just fine. They can't mean what I'm thinking, right? Anyway, a biologist would have to explain if there is a special biological pathway for stale beer over fresh beer, or expensive beer over cheap. Then there is Listerine. Not just any mouthwash, specifically Listerine? Did Johnson & Johnson marketing come up with that idea? The primary active ingredient in Listerine is eucalyptol, and that can be derived from eucalyptus oil, which does repel insects - but Listerine has just over 1% of the eucalyptol needed so that is not it, even if you pour it on your skin. It sure isn't working on window sills. In my research I couldn't find a reason why this would work, nor could Mosquito Myth Busters in experiments. Is it the smell? I know it isn't the chemicals. Finally, there are the epsom salts (magnesium sulfate), and here I thought I was onto something - but it turns out this is the chemical least likely to be a factor. A 1967 review (3) discusses the function of magnesium and notes magnesium ions play a part in the regulation of insect actomyosin, a protein complex that is responsible for muscle contraction. The best layperson explanation for the utility of magnesium dates back to 1937, when Time Magazine published "Salt v. Insect," by Dr. Vernon Raymond Haber of Penn State. Haber described the ability of magnesium to kill certain beetles. It's not obvious why beer should work. The alcohol probably isn't doing anything for more than a few minutes. 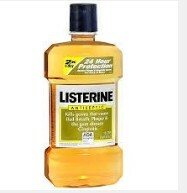 So maybe it is the mouthwash, especially if you use Listerine. The smell of that stuff will keep more than bugs away, it will repel all of your dates. 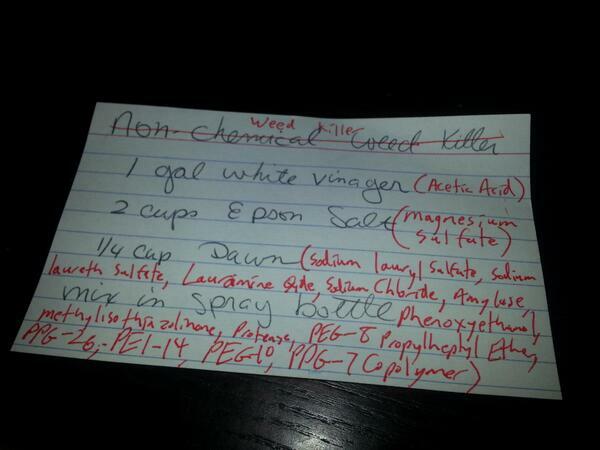 (1) A scientist kindly corrected one such recipe for non-chemical weed killer - it also has epsom salt. "Mosquitoes gone from that area for apprx. 80 days." "Go out and sit in underwear all time at nite and never get bit." As intriguing as this visual is, the author has not conducted a proper clinical trial. We don't know whether the stuff works a) if you are not wearing underwear; b) if you are wearing more than underwear. (3) "Effects of magnesium and calcium ions on the adenosine triphosphatase activity of insect actomyosin at low ionic strength" - enjoy! (4) Bonus: Magnesium is a powerful laxative. Milk of Magnesia was first patented in 1818. Magnesium citrate is one of the bowel preparations used prior to colonoscopies.